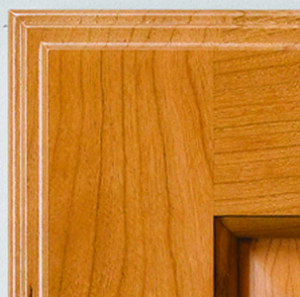 The profiles below represent the standard (no charge) edge profiles that Conestoga offers WITH hinge boring (pattern A, B or C concealed cup boring) for OVERLAY doors. This is because the profile is shallow enough to allow the cup depth without the cup bore coming through the face of the edge profile. Note that many doors, including most mitered designs, have design specific edge profiles and the edges below are not applicable.